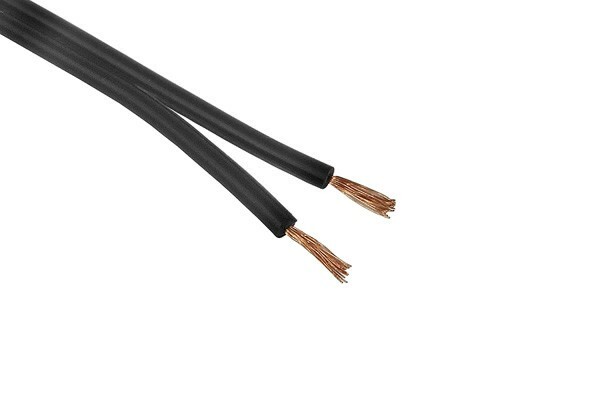 Copper strand, often just referred to as cable, is a must for any DIY enthusiast! This cable is specially selected for computer applications. 2 parallel and insulated strands make up this cable. One strand is coloured black, the other red. The small profile of only 5x2mm malkes this cable easy to hide inside of the case for a clean cable managment. Especially when the system is installed in a large case these cables come in handy: They allow the assembly of adaptors and extensions of any desired length. Im Beschreibungstext steht eine Ader wäre rot, die andere schwarz. Im Bild ist jedoch nur schwarz zu sehen. Was stimmt denn nun? Die Farbe bezieht sich auf die Möglichkeit, dass das gesamte Kabel entweder rot oder schwarz sein kann.